The Contact Details screen displays information about contacts created automatically by the system from new leads received, or contacts you have entered into the system. To access the Contact Details, hover the mouse over Contacts, and click either Active or Archived, then click the name of a contact from the list. 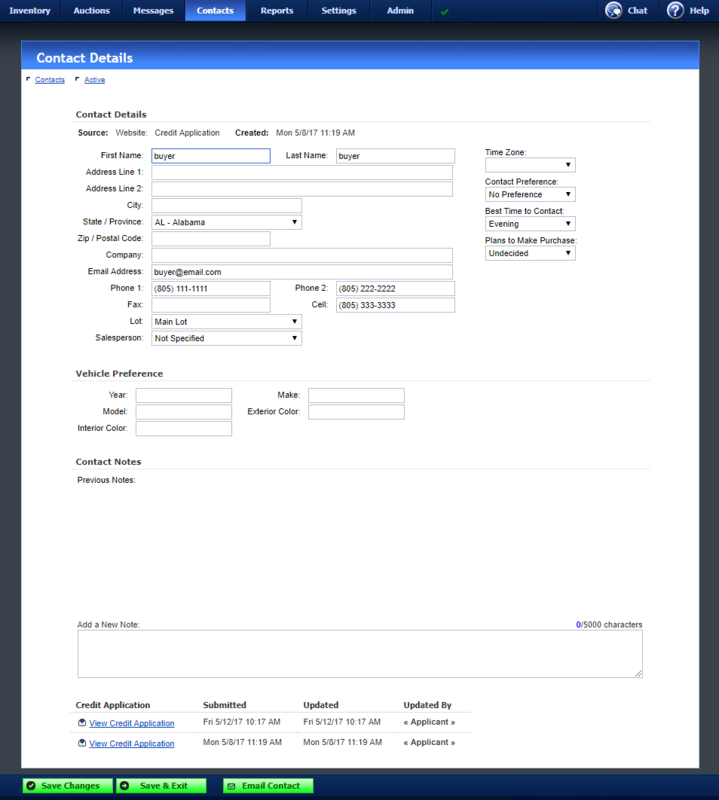 The Contact Detail section displays the source of the contact and the date it was created, and contains a number of fields for you to view and enter the contact’s name, address, contact information, and salesperson. If the contact was created from a message, much of this information may already be in the system, depending on the source of the message. If your WebManager subscription plan supports multiple lots, you will be able to transfer this contact from one lot to another by selecting a different lot. When you transfer a contact from one lot to another, all related communications from that contact will also be transferred to the new lot. The fields under Vehicle Preference may be filled in to note the contact’s vehicle preference. You can enter notes for this which can be useful in recording conversations, or adding additional information about the contact. Any previous notes will be displayed along with the time the note was entered and the name of the user who entered it. Any credit applications received from the contact, if any, will be displayed here, with the date the message was received, the date it was updated if applicable, and the name of the user that updated it. Click View Credit Application to view an application. Any messages received from the contact, if any, will be displayed here, with the source of the message, the message subject, and the date the message was received. Click on a message subject to read the message. Any emails previously sent to the contact will be displayed here, showing the sender’s name, the subject of the email, and the date the email was sent. Click on an email subject to view the details of the reply. To email the contact, click on Email Contact. 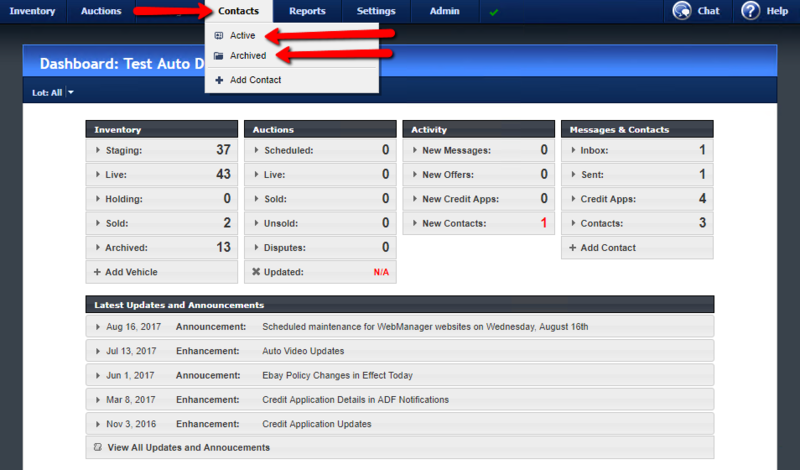 This will allow the system to keep a record of messages sent to the contact for you to refer to later.